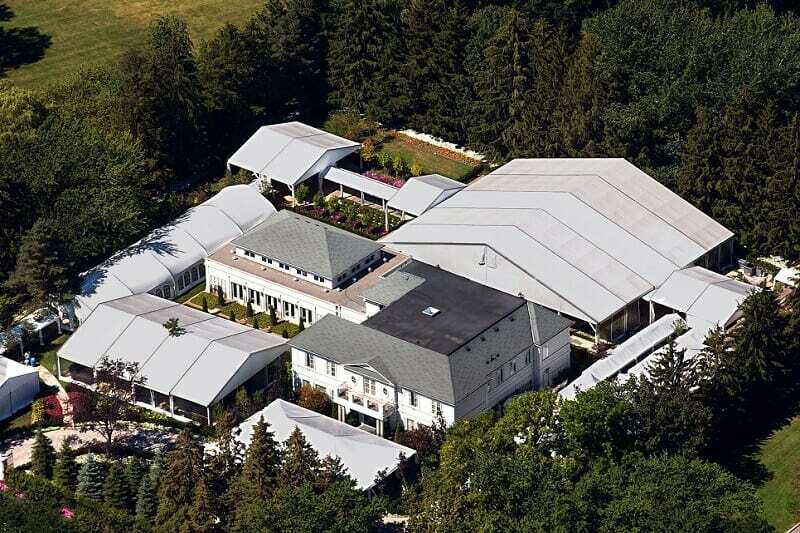 Regal Tent was approached by a prominent event planner to assist in the creation, development and installation of a “wedding complex” on the grounds of an estate in Toronto. 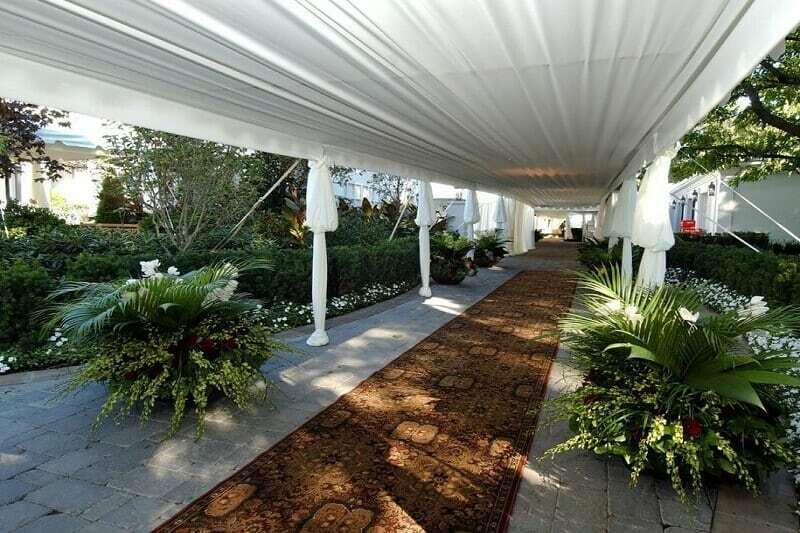 More than 22,000-square-feet of tenting, flooring and carpeting created an expansive environment of multi-use space for the three-day Indian ceremony. 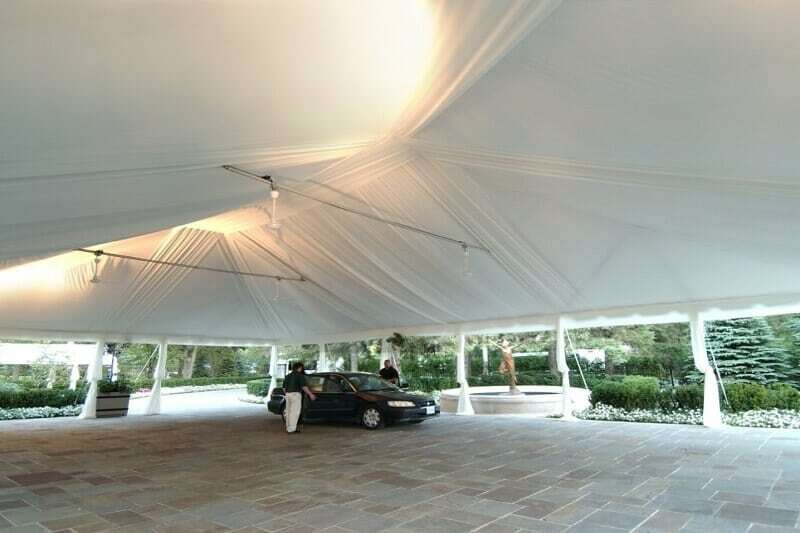 The main tent, a 30m x 25m structure, was the venue for the Friday night “Market Place” party. 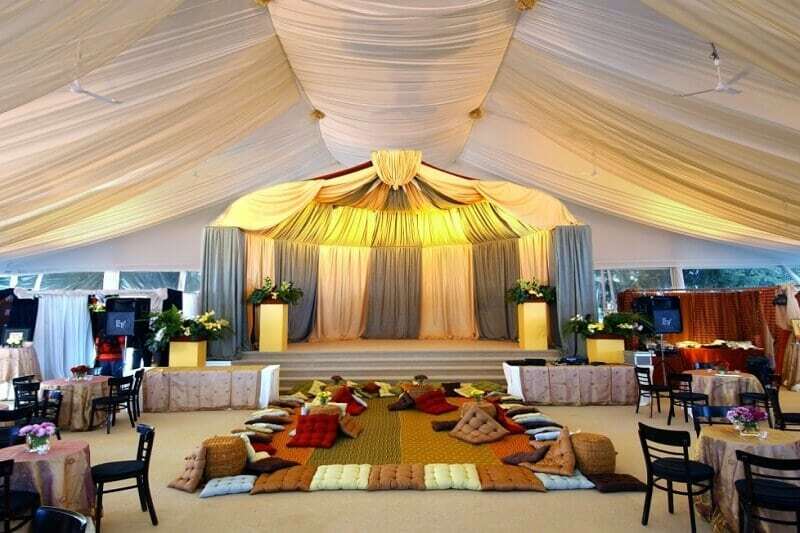 Overnight the interior was transformed to house the wedding ceremony the next morning. The end result was a creative enclosure that transported guests beyond the Toronto estate to the far off lands of India.